7-week, 5-day/week training plan for full-time Correctional Officers. This plan concurrently trains total body strength, upper body hypertrophy, work capacity, grip strength, tactical agility, and Chassis Integrity. Leavenworth’s strength work deploys MTI’s “TLU” strength progression methodology. Leavenworth is the 4th Plan in our notorious prison packet of plans for full-time Correctional Officers. 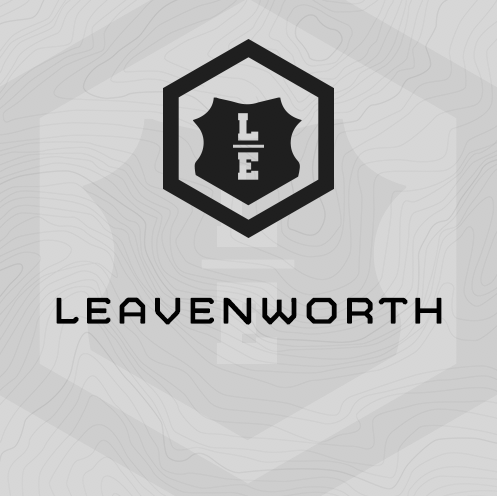 Leavenworth is a 7-week, 5 Day/week, balanced training cycle. This training plan concurrently trains total body strength, upper body hypertrophy, work capacity, grip strength, tactical agility, and Chassis Integrity (functional core strength). Leavenworth’s strength work deploys MTI’s “TLU” strength progression methodology. “TLU” deploys a Total, Lower and Upper Body exercise each training session, and includes a 1RM (repetition maximum) effort for one exercise each day. Leavenworth trains strength two days per week, Tuesdays and Thursdays. A large, muscular, upper body can be a deterrent for Correctional Officers. Leavenworth trains upper body hypertrophy (mass) two days per week. Leavenworth’s work capacity training is shuttle sprint based, using 150m shuttles and 300m shuttles. You’ll train work capacity twice per week. Leavenworth’s Chassis Integrity efforts deploy ARTE circuits. Each Chassis Integrity circuit deploys 4 exercises, one each of an anti-rotation, rotation, total and extension. You’ll train chassis integrity 2 times per week. These circuits are 15 minutes long. Leavenworth deploys a max effort farmer’s carry for time effort and follow-on progression to train grip strength and endurance. Leavenworth deploys three of MTI’s tactical agility drills to train this fitness attribute. You’ll train these drills once per week. Leavenworth requires a fully outfitted functional fitness gym with barbells, bumper plates, racks, dumbbells and/or kettlebells, plyo boxes, pull up bars, sandbags, etc. San Quentin is a balanced training cycle. This plan concurrently trains total body strength, upper body hypertrophy, work capacity, grip strength, tactical agility, and Chassis Integrity. ** You don't have to walk fast, but must keep moving during this max time for effort. Time stops when you have to put 1 or more of the kettlebells/dumbbells down. So, if your max Farmer's Carry time from Part (2) was 2:12, convert this to seconds = 132 seconds, and multiply x.3 = 39.6 or 40 seconds.